In recent years, travel has become more affordable and accessible than ever – which is great news for many people. But the blatant truth is that the tourism industry is known for its contribution to global warming, and the more that people travel, the more we need to consider ways in which we can decrease our environmental impact. 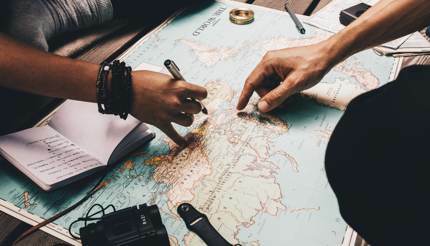 Travelling responsibly doesn’t mean that you have to give up on your grandiose plans for seeing the world, discovering new cultures and meeting amazing people, but it does mean taking the time to properly research ways that your life-changing trip doesn’t change the lives of future generations. Like with all eco-friendly behaviours, a little goes a long way. 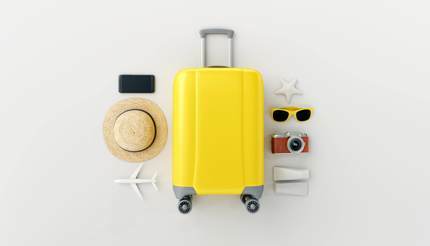 Here are nine tips to help your travel be a little greener. As planes account for three quarters of the tourism industry’s global carbon footprint, an ethical traveller should always consider booking direct flights – because planes burn the most fuel during take-off, so reducing the number of trips also reduces carbon emissions. Don’t be the person dragging multiple suitcases and spending precious time keeping guard of them. Pack only what you need. It also means that the plane is lighter and therefore will burn less fuel. Taking public transportation is a brilliant way to immerse yourself in the local culture and to reduce your environmental impact. 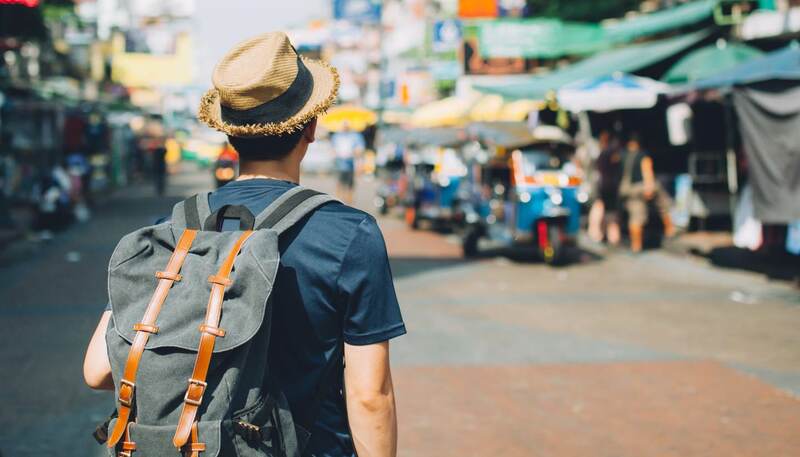 Whether you’re walking, cycling or taking a bus or train, the sights, the sounds, the smells, and the hustle and bustle of the city are ever-present – something you won’t find in a hire car or airplane cabin. While some tour companies allow you to donate and add a ‘carbon offset’ to your plane ticket, the good news is by 2021, many international airlines will have to offset any extra emissions under the Carbon Offsetting Scheme for International Aviation (CORSIA) scheme which aims to mitigate around 2.5 billion tons of CO2 between 2021 and 2035. Don’t get caught without a water bottle when you’re dying of thirst and parched beyond belief, when you have to pay a high price for some water or run the gauntlet with unfiltered water from that rusty tap out the back of the service station – it’s just not worth the risk. Nor is it worth the environmental impact. With 393 million tons of plastic in our oceans according to a Sky News report in 2018, plastic pollution and single-use plastic are two of the foremost threats to the environment. Travel with your own BPA-free water bottle and fill up in the hotel each morning is a great way to reduce plastic pollution. 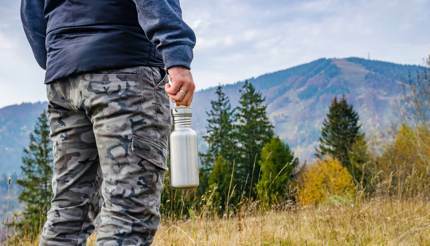 If you’re visiting places where you’re unable to drink the tap water, consider taking water purification tablets or buying a reusable water bottle with a filter. Interacting with nature and enjoying local activities are keys to any good trip, however being mindful of your presence and environmental impact is just as important. Whether you’re trekking deep in the leafy undergrowth of a rainforest, taking a dip in a crystal, clear cenote or sweating it out on camelback through the Sahara desert, following guidelines and warning/conservation signs is paramount. It goes without saying you should leave nothing but footprints, meaning reducing waste and litter is crucial. Restrain from touching wildlife too as your actions can cause distress to the wildlife. If you’re hiking, try to travel in smaller groups to minimise path erosion. While a photo opportunity might be tempting, sometimes it’s not ethical. Many travellers find out too late that an activity they’ve planned doesn’t treat animals or the environment as they should. In fact, according to World Animal Protection Fund, at least 77% of captive elephants across Thailand, Laos, Cambodia, Nepal and Sri Lanka are chained all night and day and fed improper diets. Exploiting animals for a photo opportunity is never worthwhile – make sure you research the most ethical options for activities you want in advance to avoid getting caught out. It’s a good thing that Eco-lodges are springing up across the globe – with various locations in cities, remote villages and even in the desert. To stay competitive, hotel chains also have received accreditation to let you know that they’re conscious of their eco-impact. In addition, you can choose to take shorter showers, re-use your towels, avoid having housekeeping change your sheets every day, and remember to turn off lights, air conditioning and heaters when you aren’t in your room. 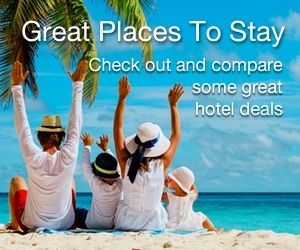 Ethical Traveler (https://ethicaltraveler.org) is a non-profit organisation ‘seeking to use the economic clout of tourism to protect human rights and the environment’ and it publishes a list of ethical destinations yearly, making it easy for you to do your research.